We are always happy to hear from customers who have questions about our products. Not only does it give us a chance to see what projects our customers are embarking on, it also enables us to give personal advice on which products are best suited for a particular purpose. Earlier this year, we heard from one happy customer, Stewart, who had just used saturating hardwood oil Deks Olje D1 to finish the bulwarks and trim on a Bristol Channel Cutter. This saturating hardwood oil has been designed to penetrate wood and drive out any moisture and air. The pores are then filled with oil, protecting the wood from within. One of the main advantages of this product is that because it doesn’t form a film on the surface of the wood, it is easy to maintain, with no sanding or stripping required. It can also be applied both above and below the waterline, making it ideal for marine environments. After applying D1 to his boat, Stewart contacted us to say how much he liked it. He also wondered whether he was able to leave it as it was and then re-stain later in the coming years or whether he needed to use high gloss varnish Deks Olje D2. We were happy to confirm that he was absolutely fine to use Deks Olje D1 by itself, as this would keep the wood protected from UV and moisture damage. We advised Stewart that in the future, the wood would gradually turn grey, at which point Stewart could give it a clean with our cleaner and wood brightener Deck Cleaner and then reapply D1. Additionally, we recommended that he performed maintenance touch-ups as and when required but that no sanding would necessary in order to do this. Stewart mentioned that he was concerned that if he did have to use D2 (which we confirmed he did not), it would peel and then he would have to go to the effort of stripping the wood again. We’re happy to report that Stewart’s concerns about using D2 are absolutely unnecessary. D2 is our flexible high gloss varnish. It has been designed so that it flexes and moves with the wood, so will not peel, craze, blister or flake. Additionally, there is no sanding required between coats of D2 (the more coats you apply the more high gloss the finish will be) and simple touch-up maintenance can be carried out with no need to strip previous coats. All surfaces should be treated with D1 before applying D2. However, the application of D2 after D1 is not necessary – it’s personal preference. “Fantastic and thanks for the reply. Just completed the D1 and it looks great I think I made a good choice”. 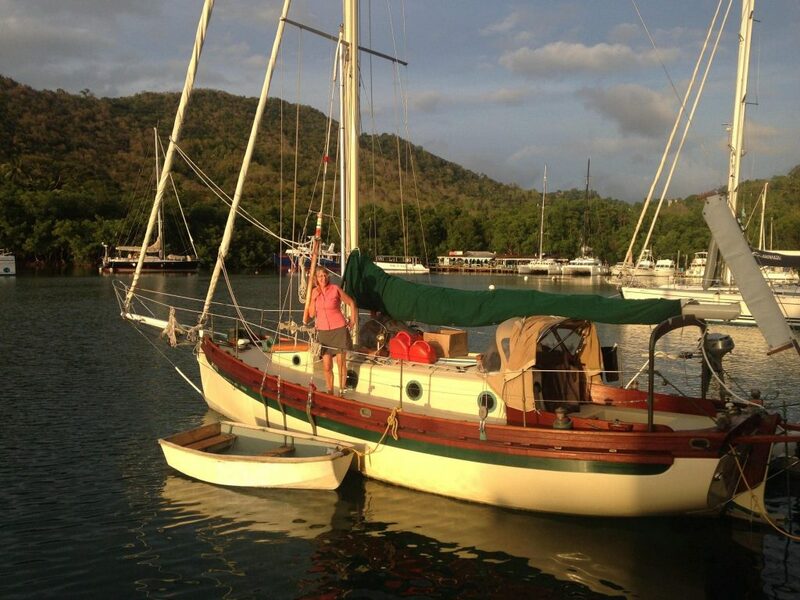 That’s another happy customer ready to set sail with a boat that is protected by one of our products. We’d be lying if we said it didn’t make us puff up with pride. Want to share your experience with our products to help other customers plan their projects? Get in touch – we’d love to hear from you. Please remember, it’s always important to read the full instructions when using Owatrol Products as there are lots more in depth application instructions, safety instructions, clean up instructions etc. that are not fully included in our articles. We discovered Deks Olje D1 and D2 about 6 years ago and first had our masts and booms refinished with it. From that point on we only use these products for bright work and masts etc. 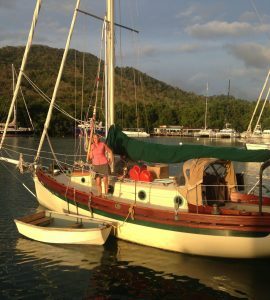 We have a 12 m steel boat with a teak pilot house and Sitka Spruce masts, plus teak decks. Our wood has never looked so good. We do a bit of sanding between applications but that is usually to remove dents and blemishes to the wood. I really believe once you use it is hard to go back to other systems.